INSPIRATION:"Creating a new/updated work motivated by another work"
PLAGIARISM:"Copying another one's work and put into his own without giving credits"
We All comes through the dilemma fight of Inspiration Vs. Plagiarism i.e Copying,But All Confusions Made On Saying what is Copied And What Is Inspired.It Is Because Of ,The line between Inspiration and Plagiarism is so Thin. Pablo Picasso says "Good artists copy, great artists steal". 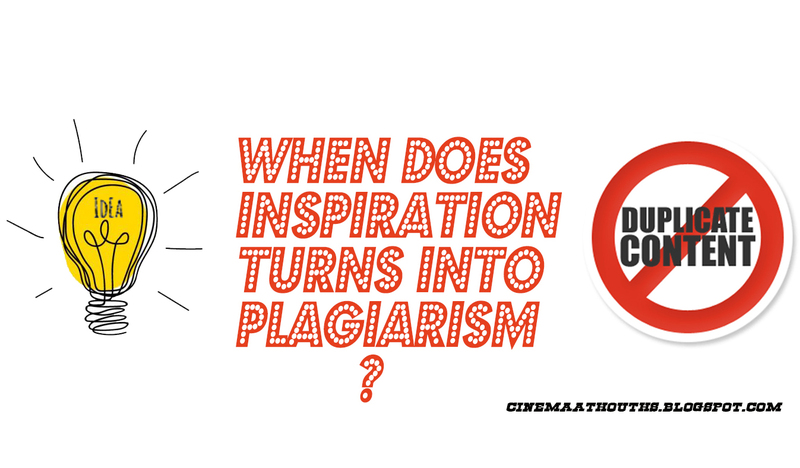 Its Because Inspiration is something that you actually steals from someone in the form of some medium. One doesn't creates something of his Own 100 percent.Minimum a little 10% of his work is inspired From another Thing or Person. 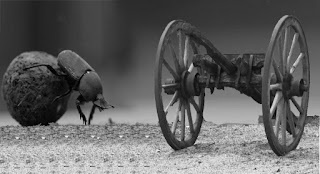 At the stone age,We all had been walking,then someone invented the vehicles like chariots.He didn't invent it alone but after saw a "Dung Beetle"( rolling his food to it's habitat ).He got inspired and steals the idea from it and made a wood as a vehicle.We can't say it's copied as well as creates on his own.He is inspired and uses some of his brain.But we can't refuse the fact that he learn / steal something from a Dung Beetle. That's the thing called Inspiration. 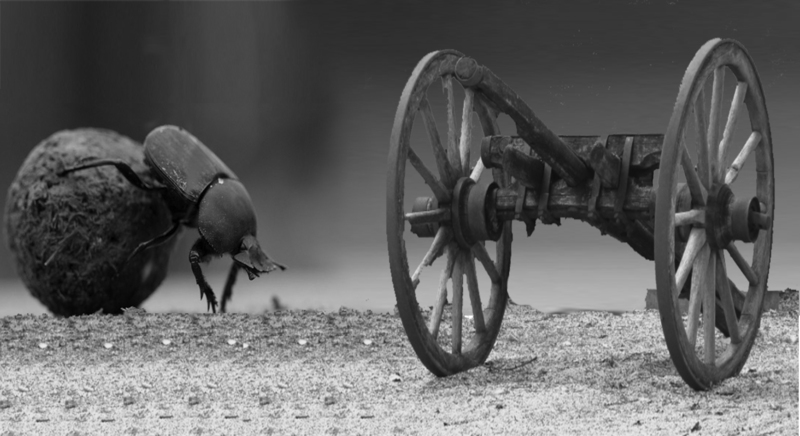 All...Like In our childhood, We didn't start to walk by self,but after Crawling towards our mother and imitating her,We start to do the same and We began walking..."
Because of That, We forget hunting,eating non-cooked animals ,and other stone age habits since we are not aware of that today. But The Truth is, We learned all by our own instinct, with our own style, of our own liking.There is an Improvement in the imitation of Mother.Like Someone performs as Joker With Batman's Body-language with facial expressions of Two-Face.That's Inspired work,But Copied most.I just tried to explain. 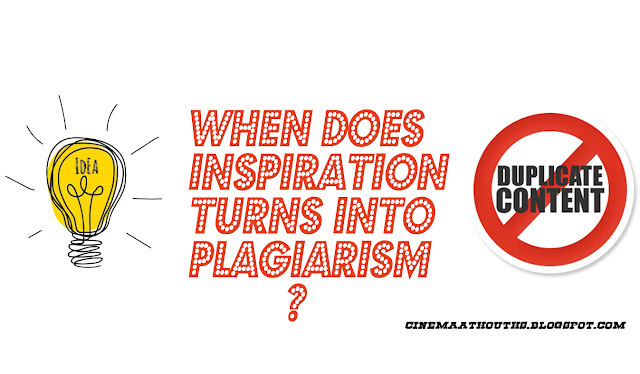 "Copying another one's work and publish it as his own is meant to be Plagiarism". Because he is not copying another one's style,genre,drama and acts.He Does it on his own style with some artistic thing,One cannot copy another one's style.But Still he copy the content. So Remaking is good(without acknowledgement)? The concept and work is stolen. A thief puts efforts into steal something doesn't mean he deserve the thing.To Create That Work/Remake He doesn't have to think,study,research,stress,boxing with her wife,at the end of the day shot himself dead.He just have to grab the work and paste it to the new field.That's called plagiarism. If Minimum 80% of improvements or decrements doesn't made on the remake of an art (without given up it's credits )meant to be Absolute Plagiarism.But given, it's credits for a absolute remake to the original creator have to be considered.But it's Also Bloody Copying.Even a remake work can't be accept as inspiration even it gave its credits.It Is Copied Work as equal as steal things. All of us copying or stealing from some other's work with/without knowing it.Copying for learning purpose and Doesn't pass off someone's work is healthy enough. If a work is inspiring and you really want to give that spark into your work.Try to know why it is inspiring,what inspiring you,the character?,it's style?or it's genre? or it's depth?.Research on it and it gives the answer to your problem of not knowing what you love.Then go on the lovable way with stuffs of yours not others.The enlargeable improvements and the decrements will be made on your work, by yourself without knowing that.When You finish your work,Go and Check out the inspired work ,The Comparison and The Arty results will be mind blowing.But if you can't improve the inspired work after trying hard, Just Forget the work.And Begin Again Differently. There is a Popular Quote saying "Steal Like An Artist". Learn to Steal from Yourself.You are also a human being with bunch of information.Know What you know and put that into your work.It will give you a intense feeling that the work is done on your own. You Have to go through your unconscious state of Mind,and Take research on it as an Another person perspective.You Will get Pretty results as what you truly love rather than other's opinion.It also Gives plenty of what you know,how you survived,Where you would win.You have a knowledge more than Stephen Hawking or Picasso.But Your Mind will not Easily give up it's secrets to anyone as well as it is you.Be a Treasure Hunter And Not a Pirate. HOW TO SHOW THEM,INSTEAD OF TELL?